I really, really did try to Mash it up but we are in the process of closing our house tomorrow, packing and moving Monday, and I just finished 3 wonderful stamp classes with great gals the last two days- I could not give that up! I was a little overwhelmed so I used a transparency in one of our stamping projects this week to give a peek of the treat inside. 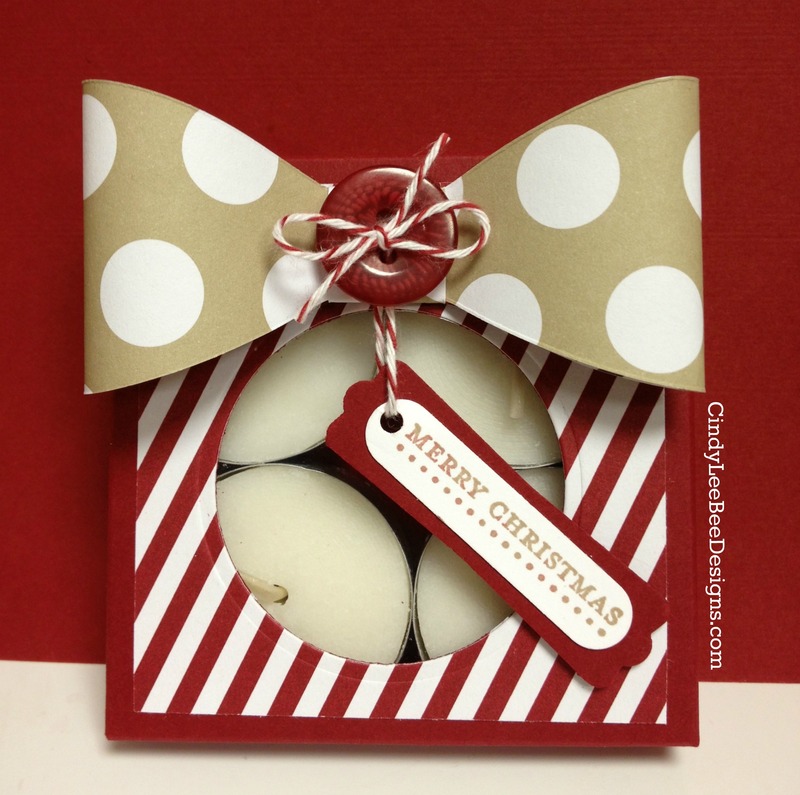 I used the Envelope Punch Board to make the box. To accommodate 4 tea lights, I started with a 6 1/4 inch square and punched and scored each side two times- the first time at 2 5/8 inches and the second time at 3 5/8 inches. I folded on the score lines and ran it through my Big Shot with a circle die to cut out the opening where I placed the transparency sheet. In class, we did not have a transparency sheet and had our bow in the middle of the front of the box- on this project, I had to move the bow up so the transparency showed. It looks really cute in person but the photo kind of makes the box with the big bow look like my son did when he was ten and had not grown into his ears yet….lol. 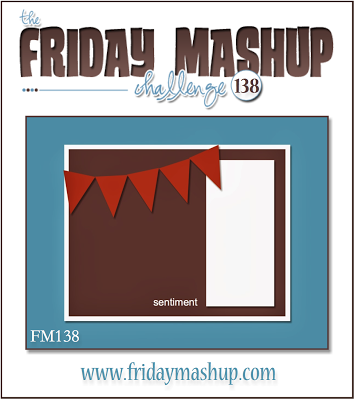 Hop on over to The Friday Mashup and check out what the Design Team has created this week and play along. We are eager to see what you design with the sketch and/or transparency sheet. I CANNOT BELIEVE you are still having classes before you are moving! You’re amazing…and so is this project! Awesome! Can’t wait to try it myself! So, that the top. Is it the same for the bottom?